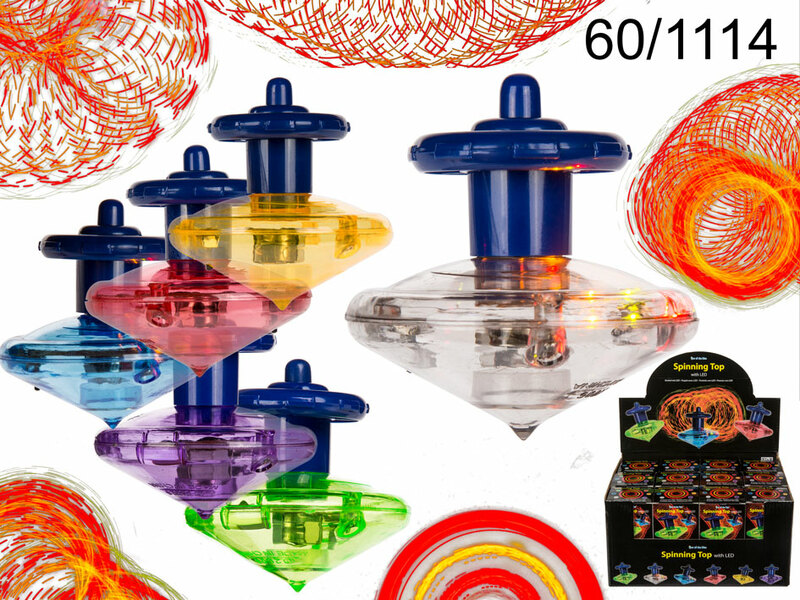 Plastic spinning top with LEDs - a classic toy known to every child around the world in new version. The laser effects made by LEDs look stunning in the dark. Several colours available - assorted. Diameter: 5.5 cm. Batteries included. Sold in colourful cardboard box. When buying 24 pieces display stand is free of charge. Dimentions: 5.5 x 5.5 x 5.5 cm.